Have you ever hosted your group gathering in a pyramid? 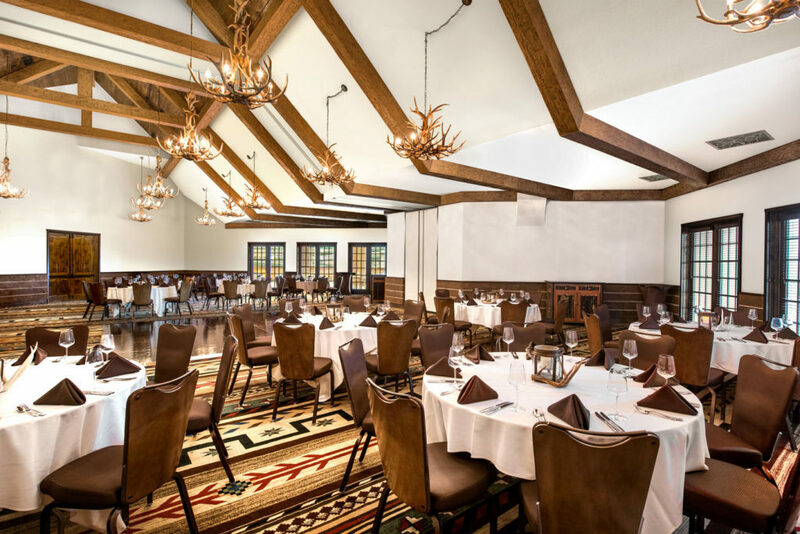 Big Cypress Lodge, inside Bass Pro Shops at the Pyramid, offers beautiful meeting spaces, inviting accommodations, spectacular dining and an unforgettable experience. In the heart of Memphis, TN, Big Cypress Lodge is located inside one of the country’s most iconic landmarks, Bass Pro Shops at the Pyramid. It’s convenient location in the city and unique setting in the pyramid make it a truly one-of-a-kind destination. We can accommodate groups up to 350. Big Cypress Lodge has 104 guest rooms, each offering a rustic elegant overnight experience. Many rooms feature gas fireplaces and views of the amazing indoor cypress swamp. Sky High Ridge – A ride to the peak of the Pyramid in the country’s tallest free-standing glass elevator. The Lookout – Restaurant and glass viewing balconies at the peak of the Pyramid. Uncle Buck’s Fishbowl and Grill – Underwater themed restaurant and bowling alley at the Pyramid. 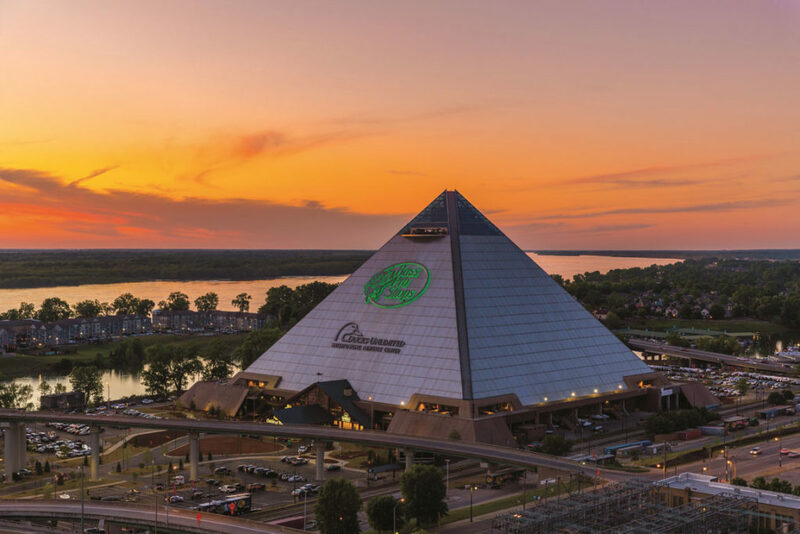 Johnny Morris, founder of Bass Pro Shops and Big Cypress Lodge, decided to purchase the Pyramid after catching a massive catfish in the Mississippi River, just outside the Pyramid. The Pyramid is home the country’s tallest freestanding glass elevator. You can catch views of Memphis on glass balconies, 300 feet in the air at the peak of the pyramid. The retail area has towering cypress trees and swamp areas with live fish.